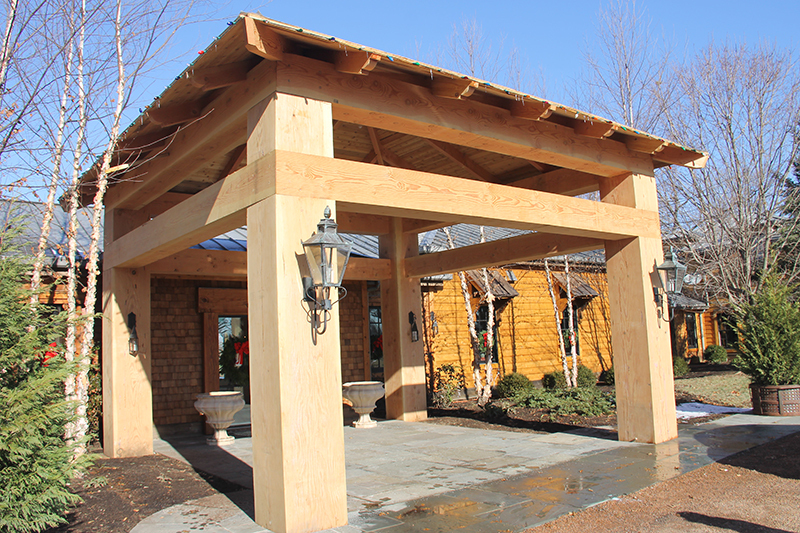 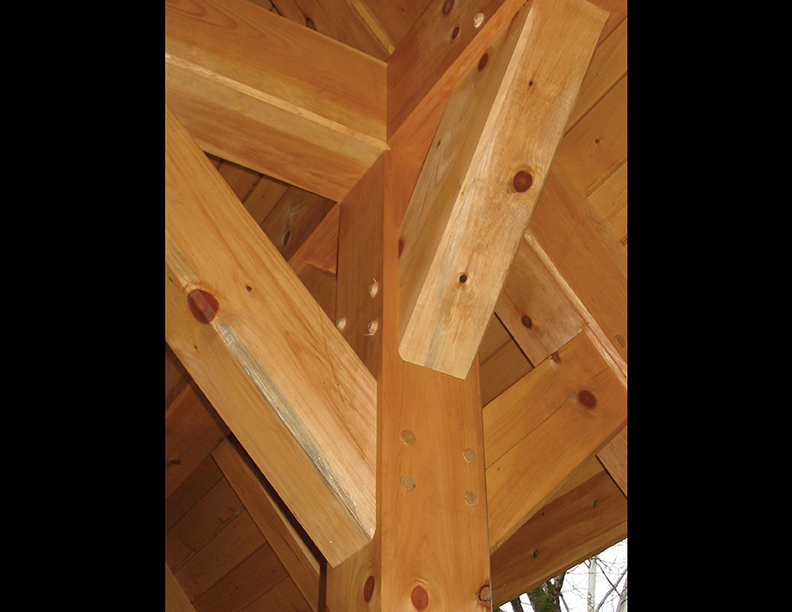 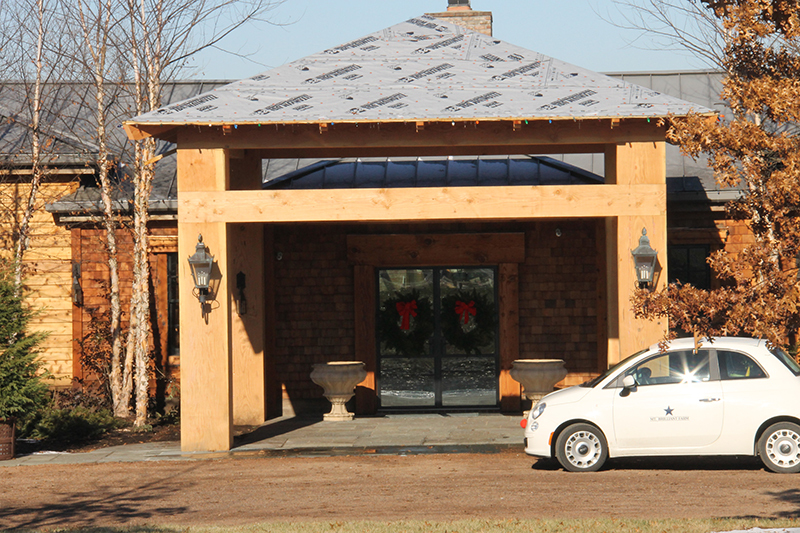 Timber Frame - Appalachian Log & Timber Homes - Rustic Design for Contemporary Living. 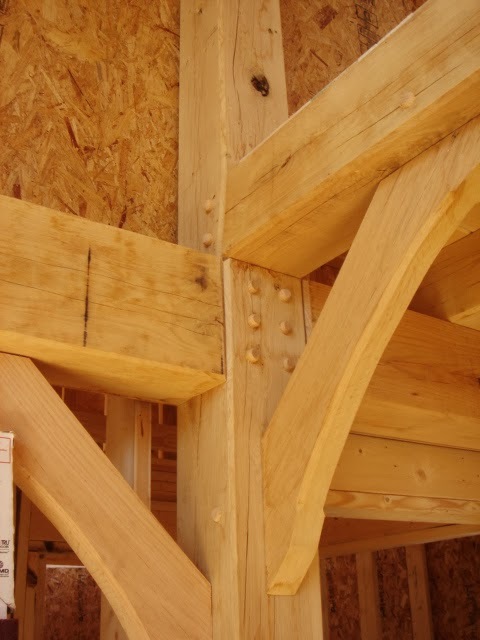 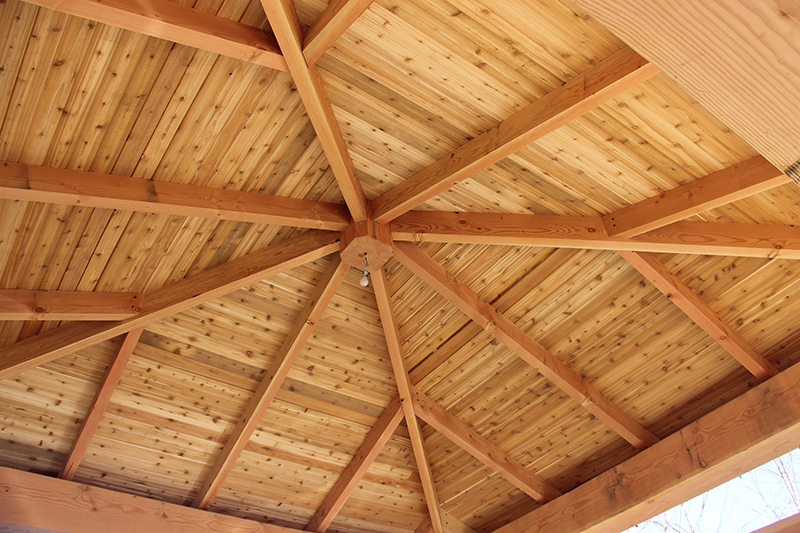 Timber frame is a specific type of Post and Beam construction that uses traditional wooden joinery to connect members. 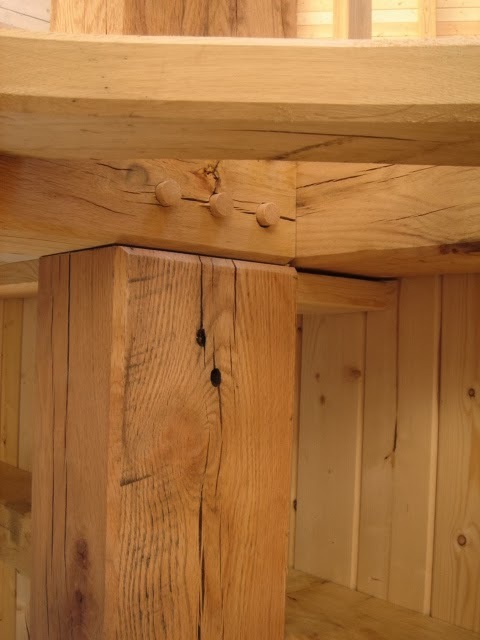 The most common connection is the use of a peg (trunnels or tree-nails) to secure a mortise and tenon joint. 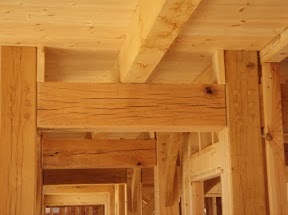 A major difference between timber framing and a conventional, or “stick-framed,” structure appears in the spacing of the frame members. 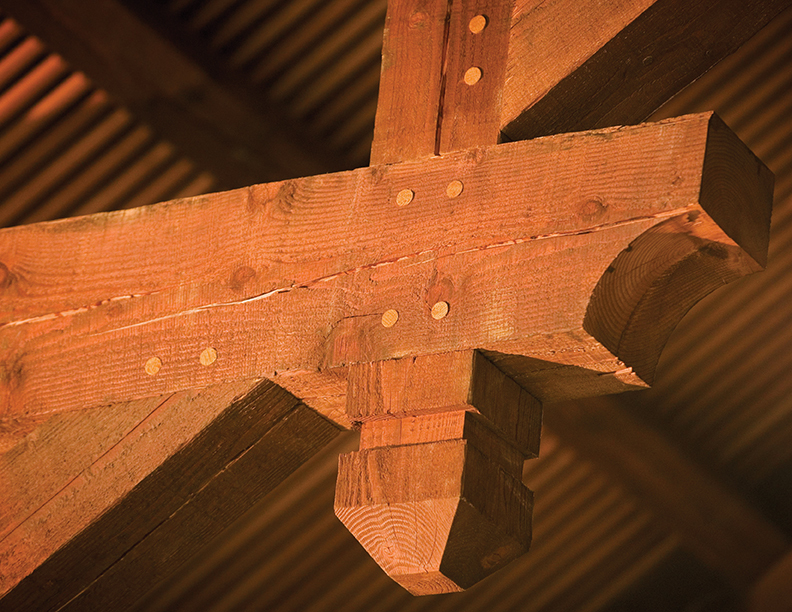 A conventional framed structure uses 2-by-4-inch wall studs placed every 16 inches. 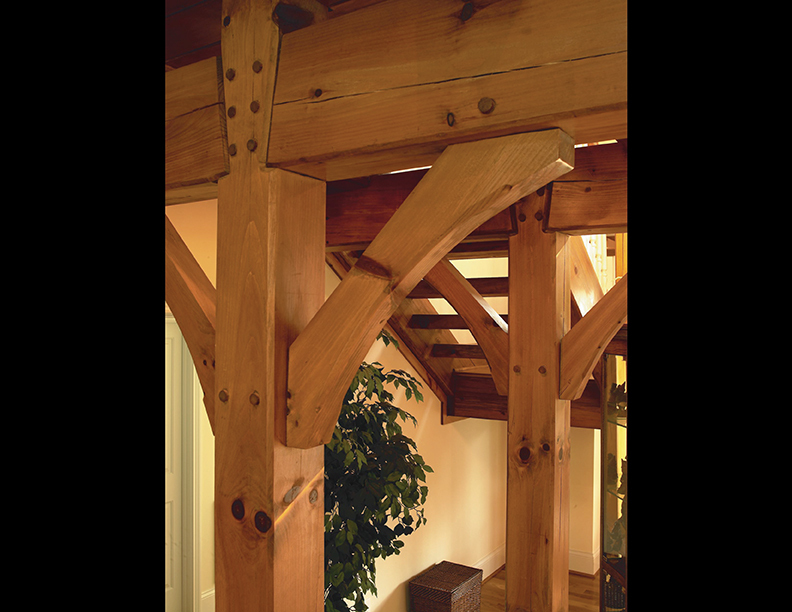 By contrast, timber frame posts are 10 to 16 feet apart. 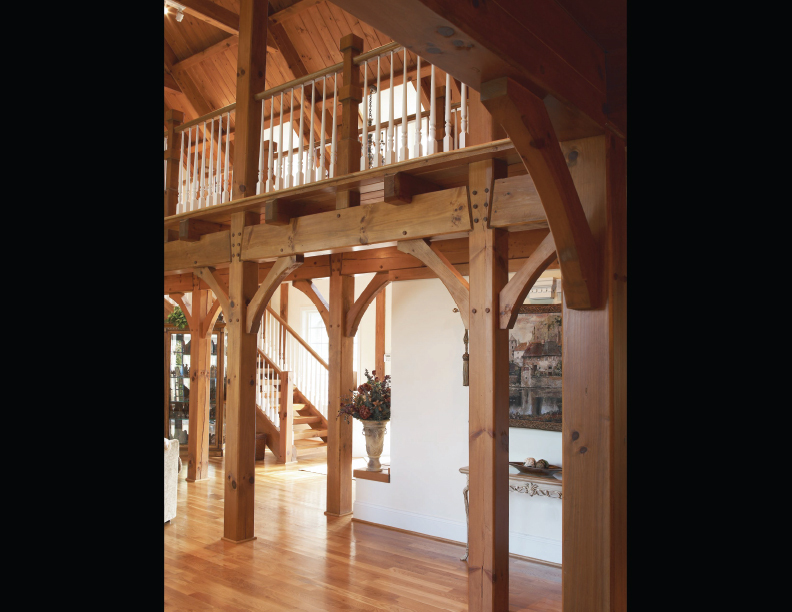 Timber frame manufacture and construction is just the kind of traditional craft that we at Appalachian Log & Timber Homes specialize in. 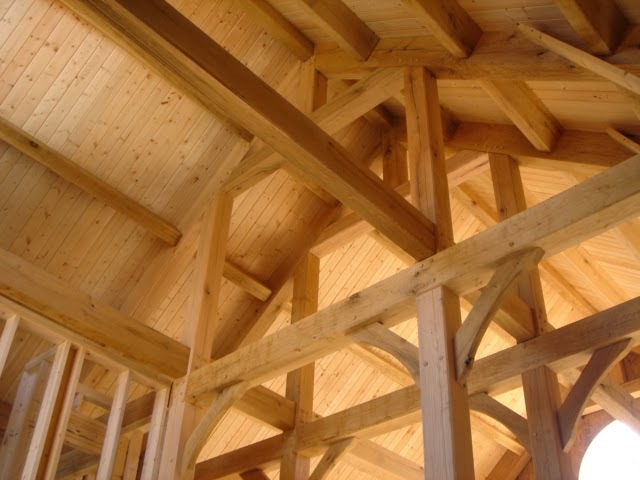 In our homes, however, the beautiful timber framework is left exposed to the interior of the home, creating breathtaking effects of open spaces and craftsmanship rarely seen in more than a century. 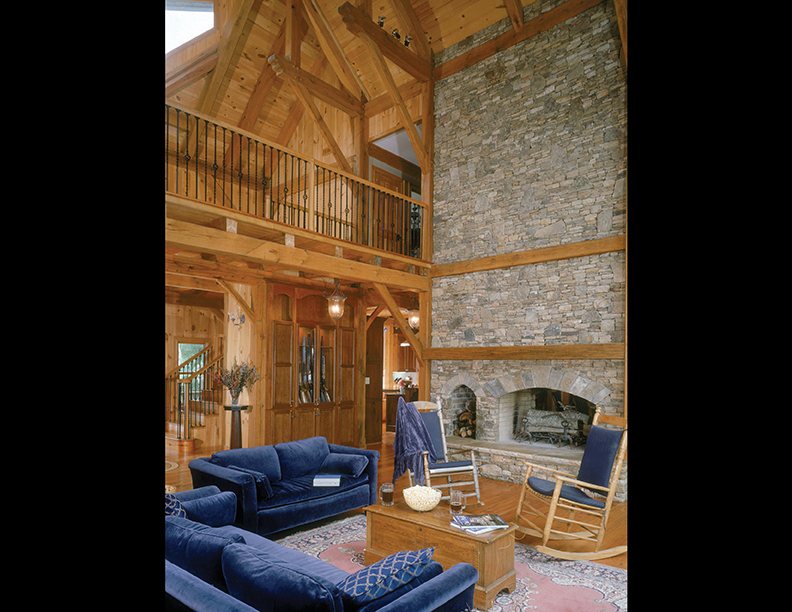 Huge timbers are transformed from rough lumber to the intricate finished framework of a Appalachian Log & Timber Frame home – with joinery detail often seen in the finest furniture. 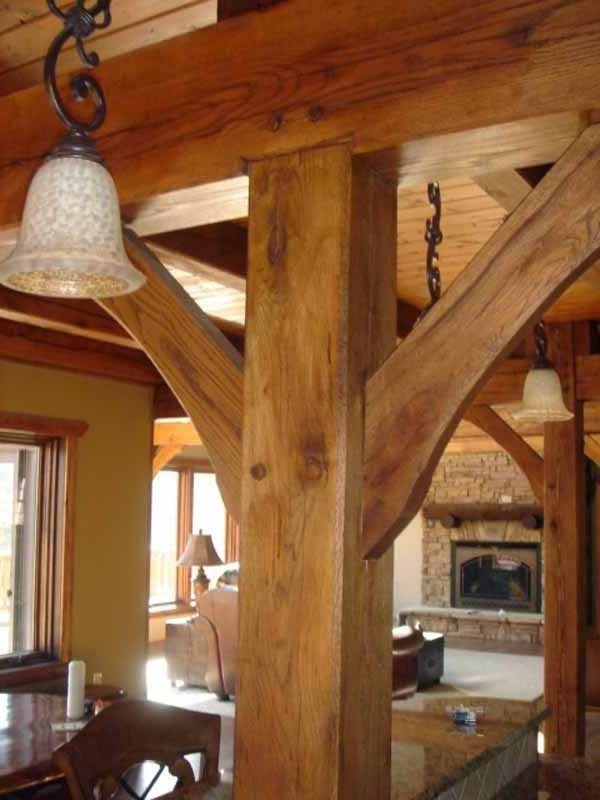 During this process, the emotions and values of the timberwrights and of the company become as important as sharp tools and quality timbers.